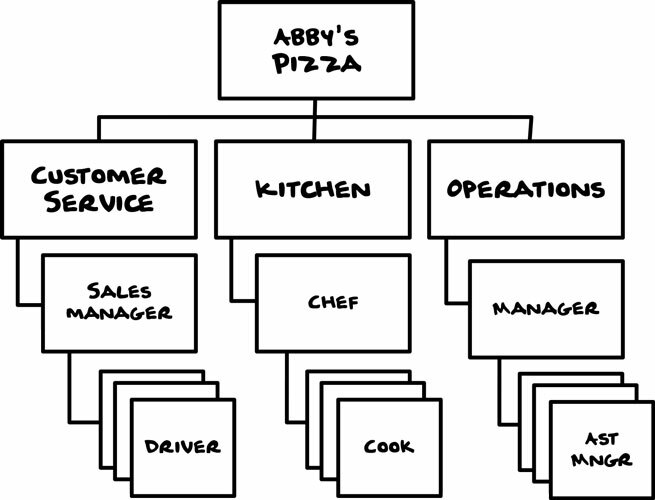 A hierarchy diagram depicts how objects, concepts, people, and places relate to each other. In website design, hierarchy diagrams are often called sitemaps. 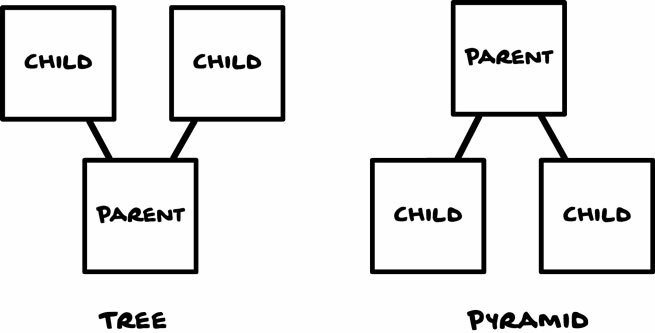 L-brackets, as seen below, tend to be easiest to read, but you may also see hierarchical relationships depicted as trees or pyramids.